One of the most basic and fundamental rules of personal finance everyone should follow is this: keep track of your money. 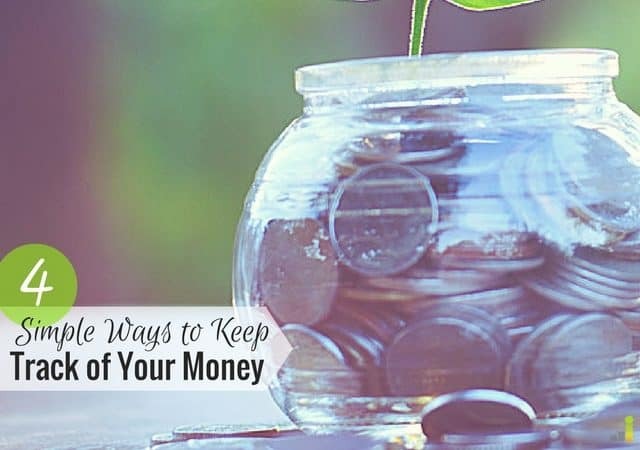 While I’m not a huge fan of budgeting in its traditional form, I am a fan of knowing where my money is going and how much of it I’m keeping or spending. It’s essential knowledge to be aware of if you want to put your money to work for you. Want to pay off your debt quicker? You need to know how much extra money you can put toward it. Have multiple savings goals you’re working toward? Same deal. 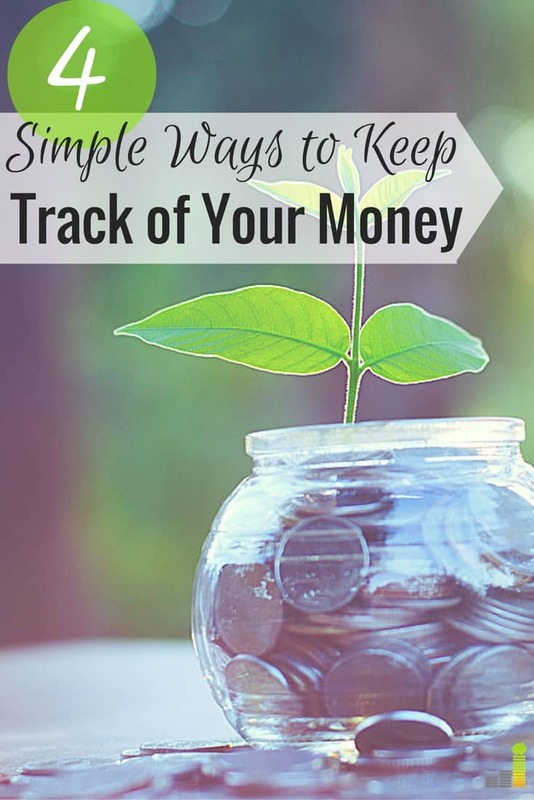 The question most people are left with is: How can I keep track of my money? There are many different methods as well as financial tools and resources to help you attack this challenge in the way that suits you best. So let’s review a few options! This is how I started tracking my spending many, many years ago. When I was in college, I had one of those agenda books to keep track of my homework assignments, and I also used it to track my spending on a daily basis. This was easy for me as a broke college student – I didn’t have very many expenses to keep track of! At the end of the week, I would tally everything up and categorize it. Again, the categories were minimal; I usually had food, gas and personal care on there. This is a great method for teenagers and college students to use if their number of transactions are on the lower side. Of course, you can modernize it by keeping track of your spending in a notepad app that syncs across your devices, too! Once I graduated from college and moved out on my own, I upgraded to spreadsheets. I happen to be a spreadsheet fanatic, but I know this method can be cumbersome to others. If that’s the case, skip ahead, as I think you’ll like the next solution better! There are tons of different budget spreadsheet templates out there that you can use if you want to manually update your spending this way. You don’t necessarily need to use them to budget, but templates cut out a lot of the upfront work. I used to list out all my spending categories in one column, and in the other columns I listed my “budgeted amount,” “actual amount spent,” and “difference” to lay it all out. I preferred breaking down my spending, so I had quite a few categories, but you can make this as simple or as detailed as you want. Maybe you only need an overall “living expenses,” or you want to break it out into “transportation expenses,” “food,” and “debt” categories. Do what works for you. Some people prefer the spreadsheet option because it forces them to be in the thick of the numbers. This is a good option for people who need a severe wakeup call with their spending and are willing to get dedicated to the cause. It’s also a decent option for financial nerds who love to obsessively track things (I was guilty as charged). The easiest way to track your spending is with a service like Personal Capital because you connect your financial accounts to it, and your transactions are pulled automatically. If you’re not thrilled with the prospect of manually tracking your spending day in and day out, and you tend to use your debit or credit card to make purchases, then something like Personal Capital is a great solution. You can set up budgets and goals within the app, and you can adjust how your transactions are categorized in case Personal Capital gets it wrong. Your spending is displayed in a colorful graph, and it has a clean interface, which is a bit more appealing to look at than a spreadsheet! Best of all, it’s free to use. The only thing I would say about using this method is to make sure you don’t simply “set it and forget it.” You need to stay on top of managing your money – this is just a quicker way of doing it. Set a reminder to check in at least once a week, if not more, and opt to have weekly digest emails sent to you so you know where your accounts stand. Maybe you’re not a debit or credit card person. My parents are completely against using plastic and use cash whenever possible. If you’re extremely debt averse, it can make sense to prioritize using cash. Thankfully, there’s a system you can use to make tracking your spending easier. I mentioned how I used to track everything in an agenda, but the truth is, sometimes cash slipped through the cracks. I personally like using my credit card because none of my spending escapes me! That’s where the cash envelope system comes in. You need to at least anticipate your expenses with this, so it does help to have a budget in place beforehand. You take out the amount of cash you’ll need for the entire month to cover your various expenses, and then divide the cash needed for different categories into the appropriate envelope. So if you budgeted $300 for groceries, put $300 of cash in your “grocery” envelope. If you have $100 for gas, put $100 of cash in a “gas” envelope. This is a rather broad tracking system since it depends on how many categories you use and how detailed you get, but in general, it will give you a good idea of where your money leaks are. If you blow through $300 on groceries by the middle of the month, you know you have a few adjustments to make. The only thing you can do wrong is to not track your spending at all. Pick one of the methods above, or create your own system using techniques from each. Just as with budgeting, you’ll need to experiment to find what works best for you. Set aside 30 minutes or so this week to give it some thought, and jump in! The sooner you start tracking your spending, the sooner you’ll benefit. How do you track your spending? Do you like using paper and pen, an automatic system, a cash envelope system,or do you use a hybrid method? What’s worked for you, what hasn’t, and why? Any other advice you’d give to people getting started with tracking their spending? I just use Personal Capital. It’s easy and convenient. I use a transaction register. I also use mint. I use libre office calc and one envelope. I take out every day 20 Euro of the envelope ,put it in my wallet and I don’t spend more than I have in my wallet. libre office works like m$excel, but it’s for free. You can use it with Windows, Mac and Linux. Interesting! My mom used to do something similar, although it wasn’t as planned. She just stuck to whatever amount was in her wallet for groceries and gas throughout the week and didn’t spend past that. I agree with the good old envelope system for sure! While I love a spreadsheet as much as the next person…envelopes are easy and tangible which can make life much easier. Yes, for sure! I love spreadsheets, but managing everything on there can be a pain when things are busy. Anyway it is useful to track where the money goes. I found out, for example, that I spend 100 Euro/month for sweets/chips when I started with my book of household accounts. I didn’t see that coming! That’s true, Anita. It really is eye opening on many levels to see where your money is going. Haha, you should! You can always use something like Lastpass (if you’re comfortable with it). At the very least, you’ll only need to remember your Personal Capital password as everything else will be in there. The moment I used Personal Capital, the way I manage money changed to something greater and positive, Erin. Glad that I did. You know, with all the typing I have to do these days with blogging, I have really begun to enjoy every chance I get to actually write with a pen! There is a strange delight in doing things the traditional way 🙂 But I do acknowledge that the best way to track one’s finances is to do it on the computer. It is just too cumbersome to do it any other way, even if you’re using your tiny phone screen to do it. I don’t record my expenses yet, but I plan to start soon and I’ll be using a spreadsheet to do it. There are too many advantages of doing it to pass it over. Haha, I’m with you there. I love writing with a pen sometimes. I usually have a written to-do list along with one on the computer, just in case. Glad to hear you’re going to start tracking soon!